The importance of prim within fashion seems to have been lost in between last seasons biker jackets and the numerous slutty knee high socks that paraded the courtyard at Somerset House through London Fashion Week. Being a Londoner I think it’s vital to stay close to your roots and support English fashions, neat crops and a great handbag. In my wardrobe, military boots (unless a classic DM), zebra print, small handbags, leather rucksacks and short patent bomber jackets are banned…whereas vintage hand me downs (C1920-1979), tailoring and beautiful ox blood doctor’s bags are always welcome. Let’s have a look at the monstrosities that filled the seats at London Fashion Week this year….what were they thinking? Halloween is the one time of the year I am thrilled to dress up in weird and wonderful costumes. Alongside clothing, I enjoy celebrating whacky beauty products. 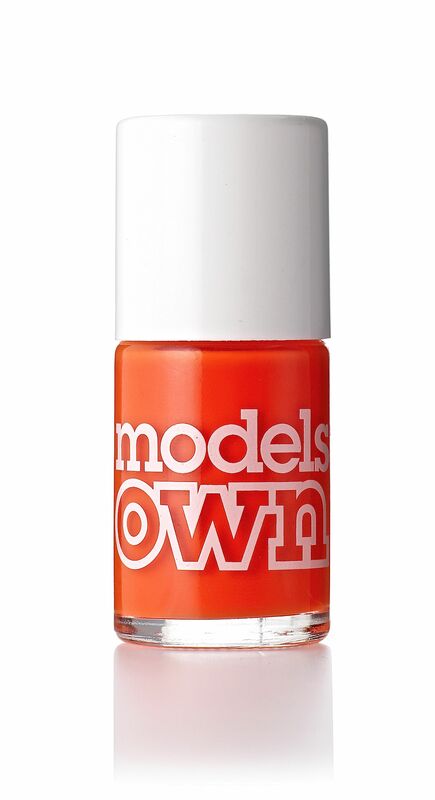 My favourite product for this Halloween is Tangerine Queen by Models Own. It’s a fabulously bright orange that, when painted on dries spectacularly shiny. Parsley isn’t something I would normally associate with pampering. In fact, I would go as far as saying I actually dislike the taste, smell and texture of the herb. 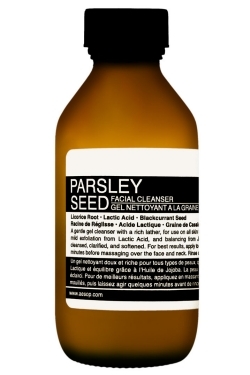 So before I experienced Aesop’s facial cleanser, using anything Parsley based on my face didn’t sound appealing. In the post arrived a small brown cardboard box with my name neatly written on the front. I opened the side of it and pulled out Aesop’s exceedingly handsome wrapping paper…I was already loving my Aesop experience. Inside the busy wrapping paper lay a small brown bottle, simply labelled on one side with directions, title and ingredients. I dampened with face with warm water and smoothed on a small amount of the fresh smelling cleanser. After two minutes I began to feel a slight tingle. My skin felt like it was gently waking up and the aroma of the cleanser was refreshing and gently, which was a generous leap from the high-street brands of facial cleansers. After a few minutes I began to massage in the cleanser and it felt like my skin was being thoroughly rejuvenated with each finger movement. When washing off the product I noticed my skin felt very clean and relaxed. I explored my complexion in the mirror and saw that my skin tone had slightly evened out. I have a new found passion for Aesop….maybe parsley isn’t so bad after all. If you care about your skin visit www.aesop.com today. I remember my first experience using Simple. It was a few years ago and I had run out of moisturiser. My father very kindly handed over one of his familiar looking white bottles and I rub in some of the fresh smelling, creamy product. My skin absorbed the moisturiser so quickly and I was able to, without hanging around, put on my make up and get on with my evening. Now that autumn is in full swing I am looking to improve my beauty regime. I tend to turn in to a slight couch potato in the autumn, so I decided it would be great to involve a face masks with my movie watching, slipper wearing nights in. Simple struck me as a skin kind brand and I hadn’t yet tried their facial masks or face masks so I dedicated last night to them. 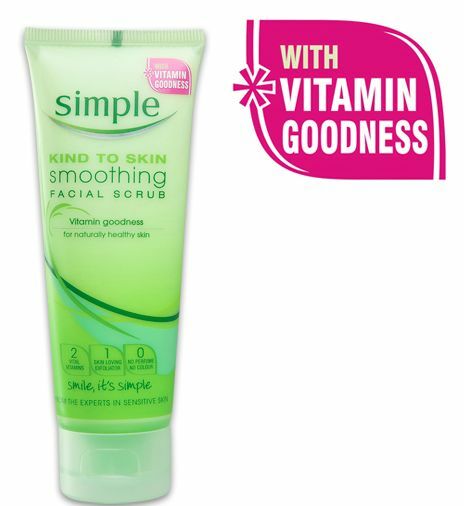 Simple’s Kind To Skin Smoothing, Facial Scrub was first on my list. The front of the packaging noted the ingredients included two vital vitamins, one skin loving exfoliator and zero perfumes or colour. This was great news to my skin, things were looking up for my combination autumnal skin! The directions were very easy to follow. There were only three stages to the facial scrub. 1. Dampen your face with warm water and apply the product. 2. Massage in a circular motion using your finger tips. 3. Rinse off. 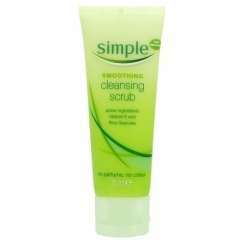 My face felt clean and the scrub smelt so fresh it gave me even more confidence in Simple. 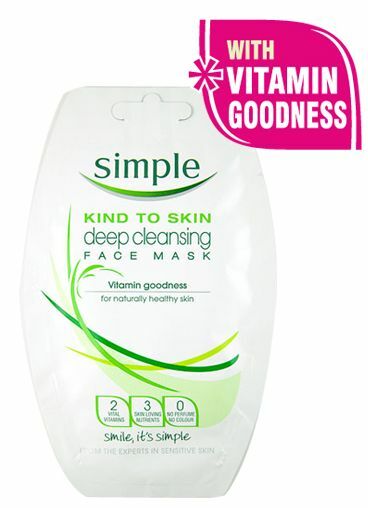 Simple’s Kind To Skin Deep Cleansing Face Mask was up next. I applied the mask and let it work it’s magic for the recommended three minutes. Washing it off, I felt my skin and how clean it looked and felt. It appeared highly polished and my cheeks were glowing. Do I recommend them: 100%. Interiors aside, I then went on to explore the shops huge array of gifts and treats for the home. I wrapped myself in English wool blankets, that are gorgeous for draping over the sofa, beds or armchairs. I then bundled myself in to a mass of chic cushions varying from Jan Constantine to create-your-own message cushions. My favourite area of the shop was the candle display. Kenneth Turner and St. Eval were glorious and lifted my sense of smell to the roof top! The owner of Nonsuch, Jackie introduced me to Gilles Dewavrin candles. If you are a fan of candles you will already know about Gilles Dewavrin, if not, I am more than happy to spread the good word! They are a highly recommended candle company that offer a hugely inspirational collection of scents. For more information get to Nonsuch and have a sniffing session! 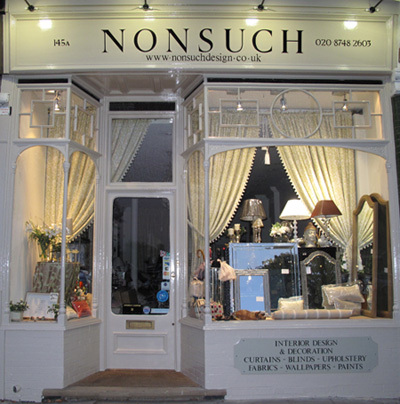 Beautiful Nonsuch can be found at 145a Church Road, Barnes SW13 9HR. Contact 0208 748 2603 to get the shop directly. 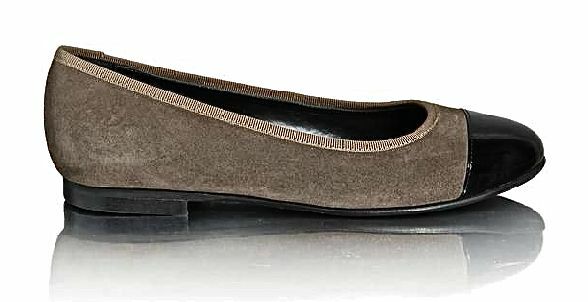 My favourite day shoes for Autumn are Jane Shilton’s Trieste Two Tone Suede & Patent Ballerina Pump. 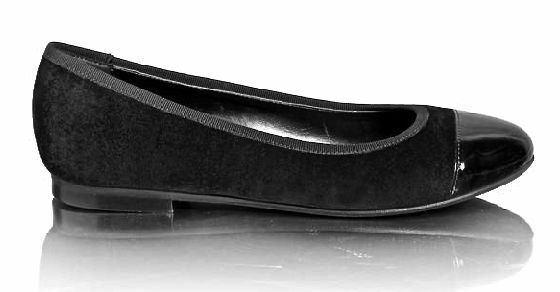 Exceptionally easy to wear these chic ballerina pumps look great when worn with tights and shift dresses, to complement their smart sixties-esque two tone appearance. I personally love wearing mine with a peter pan collared shirt and sharply tailored cigarette trousers which offer a flash of flesh at the ankles. These are great shoes to wear when colour blocking as they are fashionable without being fancy. The red pumps look great with red tights or red jeans and the same applies to the taupe. Another aspect I love about these pumps is the collaboration of textiles. Patent leather and suede combined make a stylish statement and when slipped on to the feet they feel fabulously comfy. The summer is officially over and I need a replacement for my flip-flops when my feet start to ache from wearing heels in the evenings. These pumps are the perfect solution as I don’t want to carry heavy brogues around with me and plimsolls aren’t smart enough. They are light and loveable and they will love your feet in return. I’ve got my eye on the black pair! Nose piercings, gothic fashions and fetish exercises are not normally aspects that take grace the cover of Vogue Italia. Vogues Autumn edition sees Stella Tennant adorned in gothic attire, with a waist clasped so tightly when measured it proved an acute 13 inches! Ethel Granger takes full responsibility for the styling, as for the giant nose ring and lip stud, these are all Tennant’s personal additions.